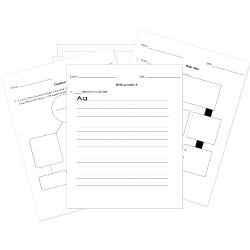 You can create printable tests and worksheets from these Grade 10 Animal Farm questions! Select one or more questions using the checkboxes above each question. Then click the add selected questions to a test button before moving to another page. Who originally came up with the idea to build a windmill? How are the lives of the animals during the first year of living on their own?
. What happens when Snowball and Napoleon disagree? Why is the song “Beasts of England” banned from the farm? What are we led to believe will happen to the lives of the animals at the end of the novel? What do the animals realize at the final dinner? What does Boxer constantly say throughout the novel? What form of propaganda does Napoleon typically use? What new Commandment replaces all of the former Commandments? The Rebellion that the animals lead against Mr. Jones mirrors which historical revolution? What role does Mr. Whymper play in the novel? Who is the original hero of the Battle of the Cowshed? What name does the farm take at the end of the novel? Napoleon begins to change the Commandments during his rule. How does the fifth Commandment read after he changes it? What group of animals become brainwashed-followers of Napoleon? What is the purpose of the Sugarcandy Mountain "lie"? What effect does this "lie" have on animals in general, and specifically, the animals on Manor Farm? Every Sunday, the animals hold a flag-raising ceremony. The flag's green background represents the fields of England, and its white hoof and horn symbolize the animals. Which historical flag does this mirror? What is the significance of the name change from Manor Farm to Animal Farm? What is a manor? What associations does it have? Why is it significant that Snowball and Napoleon should be the ones to kick open the door of the farmhouse?